Two weeks I ago I authored my comments for the Pellet Wire in anticipation of our fall board meeting and shared with you that our board was committed to leaving Indianapolis with a well-defined strategic direction. I am happy to report that our board had a lively discussion about our priorities moving forward with an eye on our resources and the knowledge that we have some practical limitations that must be considered. Overwhelmingly, the promotion of wood pellets as a viable heating and cooking fuel to new users was identified as our number one priority. Candidly, I think everyone came to Indianapolis knowing that a continuation of our stated goal of re-establishing 100,000 units sold as the new floor for annual pellet heating appliance sales would figure somewhere into our top 3 strategic priorities and I’m glad it did. “Operation 100k” has been a rallying cry for our organization throughout the year, sharpening our thinking on several fronts while inspiring a revitalization of our relationships with retailers and appliance manufacturers. I’m happy with our start in that regard but we’ve got a long way to go. We had a Promotions & Communications committee call this week and clearly, this group will shoulder much of the work and thinking we undertake towards this end. If this resonates with you and you would like to be part of those efforts, please contact me. I’d be happy to get you involved. Next, our board recognized that the PFI Standards Program is easily the most concrete offering our association has produced for the industry in quite some time and it is time to recommit ourselves to making sure that retailers and consumers know it. If as an organization we can build some momentum towards our priority of more units sold and installed, it is vital that those consumers and businesses who elect to purchase a wood pellet appliance have a quality experience. Fuel quality is central to optimal appliance performance and wood pellet consumers deserve a clear and practical means of identifying wood pellets in the marketplace that they can be assured will perform in their appliance. While we know that our Standards Program is that means, it isn’t clear that consumers do. Moving into 2019 the PFI will take on that effort as well as ancillary efforts like educating pellet retailers, appliance manufacturers and regulatory bodies about the value and utility of our Standards program to advance their respective goals. Third, recognizing that we’re not likely to achieve our first two priorities without help, our board is recommitting our organization to meaningful industry partnerships and collaboration with groups that share similar goals and challenges to our own. One of the hallmarks of this industry is how intrinsically tied to other industries it is. We obtain our feedstock from our partners in the forest products sector, depend upon appliance manufacturers to continue to innovate in our category and rely upon a broad range of retailers to offer our product to consumers. It is relationships like these that we look forward to reimagining and revitalizing in our efforts to grow our market and protect our right to do business. Finally, I’d like to publicly thank our board for taking the time to join me in Indianapolis. I’m always humbled when I consider that our board is peopled with volunteers. It was clear in speaking with everyone in Indianapolis that we’re all busy managing a promising heating season and I appreciate their willingness to gather, discuss our direction and commiserate about our shared challenges. I look forward to our next opportunity to do so. 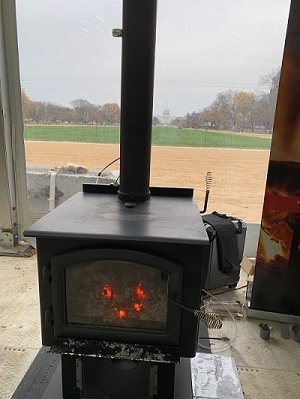 This week, the Alliance for Green Heat held its biennial Wood Stove Design Challenge on the National Mall sponsored by PFI member Lignetics. It was the coldest week in Washington yet this fall, but the competition was held over several days in a specially designed, vented and cozily warm tent within view of the U.S. Capitol and just steps away from the Smithsonian Castle. There were many familiar faces at the event from the pellet fuels industry. Several federal agencies sent representatives, including the U.S. Forest Service, Department of Energy and Environmental Protection Agency. Most of all, pellet heating and wood heating gained a place of prominence in our Nation’s Capital. We're building a collection of photos of our members, their pellets mills and product. Send them to Carrie Annand at [email protected]. 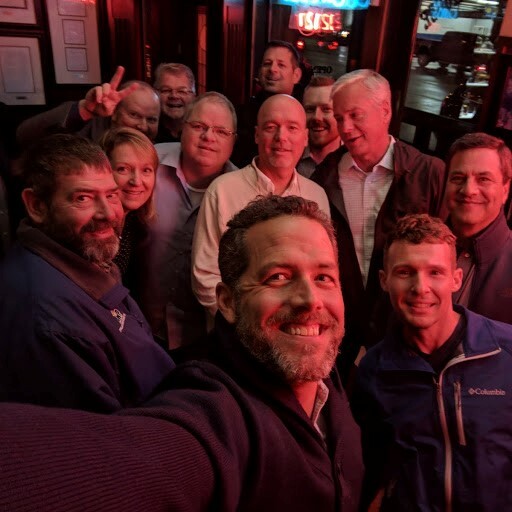 This week’s featured photo is a selfie of the Board taken at the recent meeting in Indianapolis. PFI Membership Thanks for Your Continued Support of PFI! Not a member yet? Learn more about how PFI can work for you and join today! If you think you are getting this message in error, please contact the PFI Office. Economic development leader broke ground on a wood pellet plant in Copiah County Wednesday. Alternative energy development will give a plant that hasn't been in operation since 1992 a new lease on life. At full capacity, the facility at the Copiah County Industrial Park in Gallman should create 500,000 metric tons of wood pellets a year. The pellets will be exported overseas and converted into electricity. It should mean more jobs in manufacturing and trucking for Mississippians. U.S.
A report by the Maine Department of Agriculture, Conservation and Forestry claims more than 100 major buildings in Maine have made the conversion to heating with wood instead of oil. In most cases, the report says, wood chip or wood pellet systems replaced those using heating oil. The installations have been on college campuses, schools and institutions. 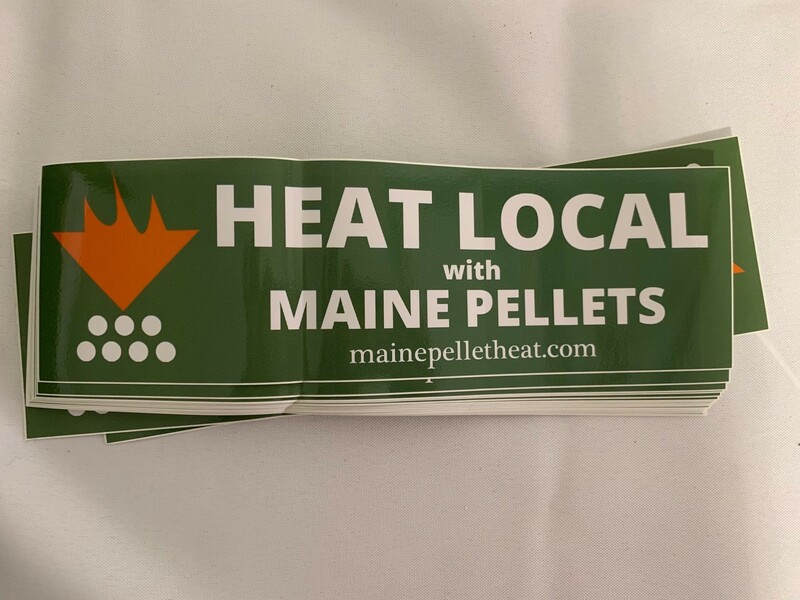 Part of the debate centers around the fact that most of the wood pellets and wood chips are produced in Maine, while heating oil comes from outside the market. As a result, direct spending on "local" fuels, wood pellets and wood chips, totals $6.3 million a year. The study claims the annual savings amounts to $5.5 million. The total economic impact from buying the wood products is $20.6 million, according to the report. In 2017, wood fuel in the 100-plus building studied totaled 19,000 tons of pellets and 45,000 tons of wood chips. The fuels are nearly entirely produced within Maine, "supporting hundreds of jobs," the study claims. "By switching to wood fuels, we keep our fuel dollars here, support our local economy and improve our forest resource base by strengthening markets for low grade wood," Doug Denico, director of the Maine Forest Service, said in a press release. The study did not evaluate either residential or industrial use.